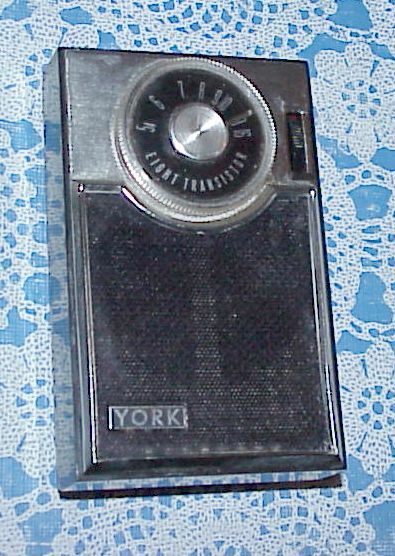 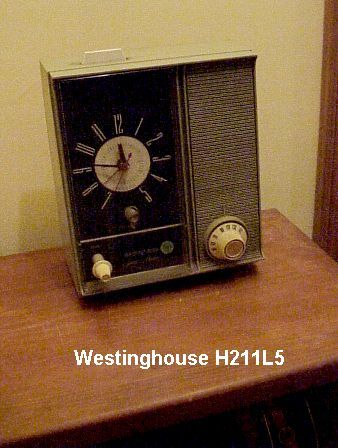 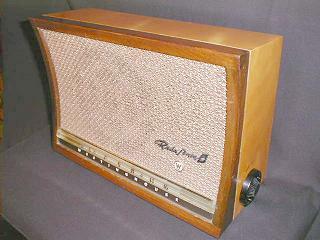 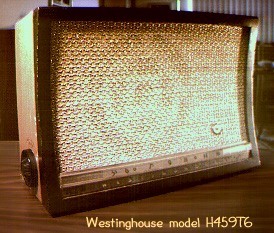 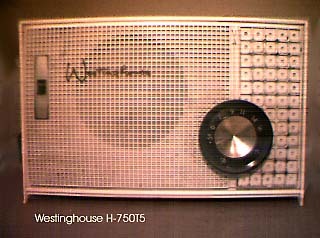 A nice tube radio with extra B+ on the audio output stage: My H458T6 is just like this except brown trim instead of black around the front. 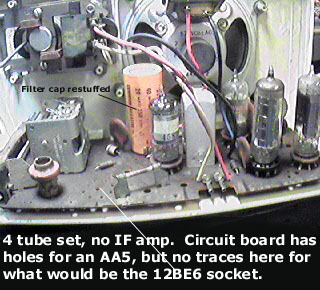 Using a 19HR6 tube in place of the 12BA6 in the IF amp stage improves the sensitivity of this set. 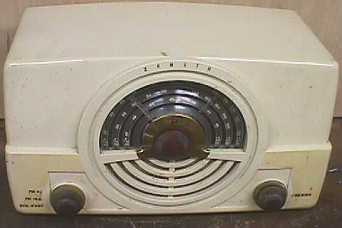 This radio may be easily converted to 240VAC operation by removing the powerline (mains) connection from the center of the autotransformer to the top (rectifier plate). 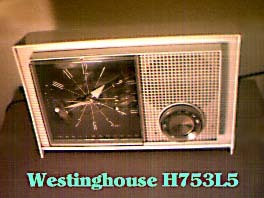 Leave the heater string connected to the center tap. 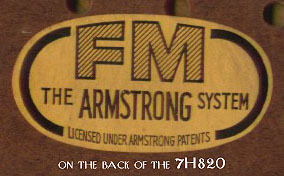 See the diagram here. 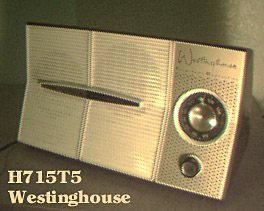 It's not a television set! 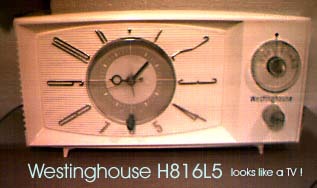 What looks like my H211L5 set in the kitchen of the TV show "Good Times", on the left of the rightmost picture above. 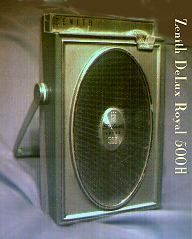 A quarter track reel 2 reel machine I had back in the mid 1970's. 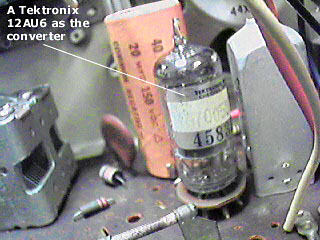 Tubes and transistors. 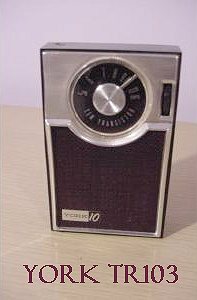 An Aussie Tasma "baby" model 1001: The little map of Australia on the dial is a nice touch. 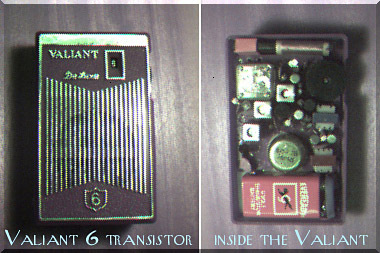 This one above is the 8 transistor version. 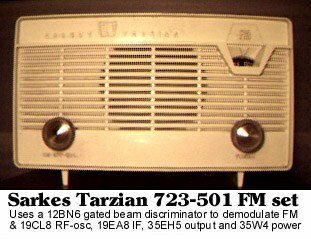 A converter instead of a mixer transistor and an oscillator transistor, and only one instead of two audio driver transistors. 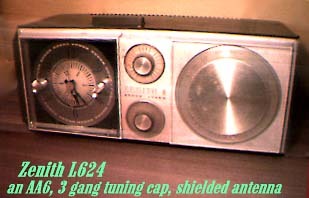 This above radio has an RF stage with 3 gang tuning cap. 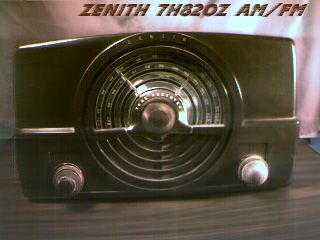 A good DXer. 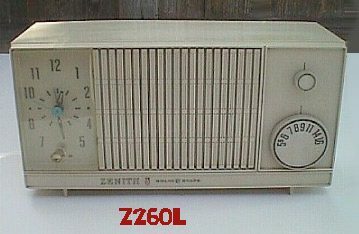 My first CD player bought in 1985 for about $400. 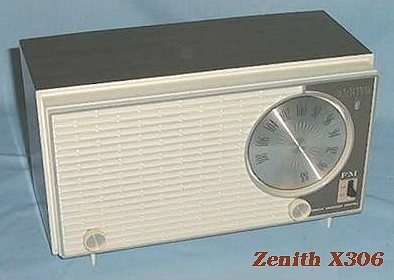 It proclaims: "Yamaha Natural Sound Compact Disc Player CD-X2", "Original Music Processing LSIs", "Double Resolution Digital Filter". 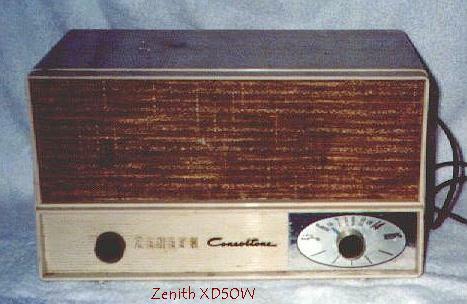 Which means 2X oversampling. 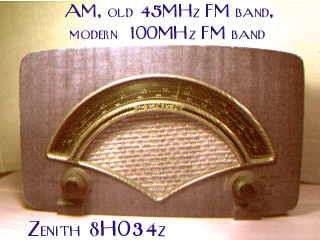 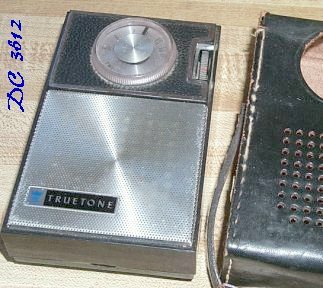 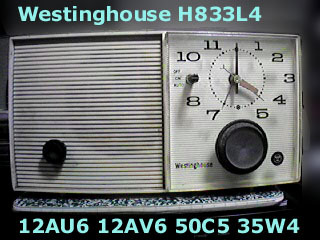 An earlier version (right) of the above set had the old 45MHz FM band included. 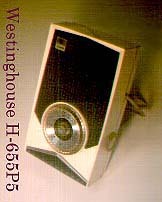 Also the set below had this band. 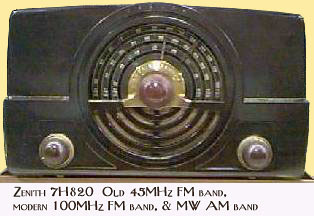 In 1945 the FCC decided that FM would have to move from the established 42 - 49 megacycle pre-war band to a new band at 88 - 108 megacycles, to make way for television. 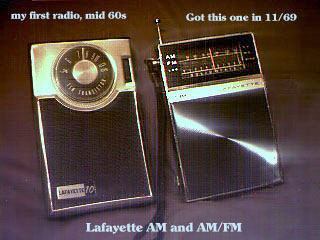 Both in frequency spectra and consumer dollars. 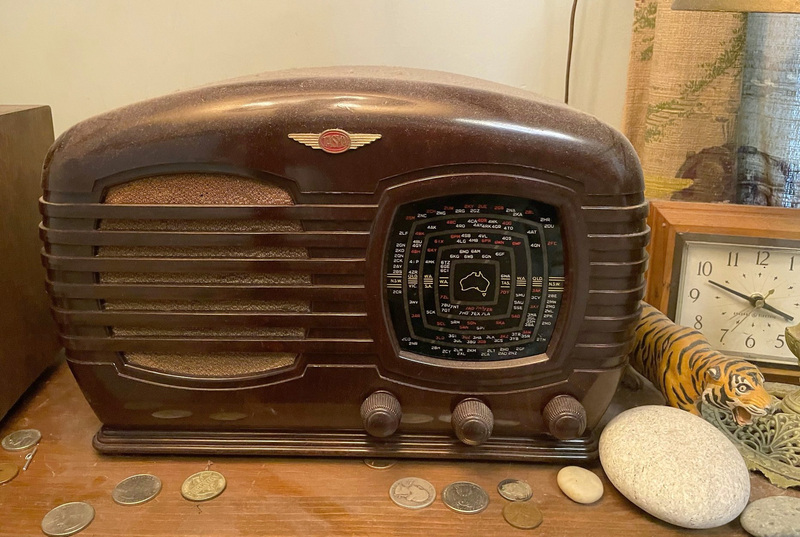 RCA's David Sarnoff in particular wanted FM to "go away" so the public wouldn't be distracted from buying his latest up and comming product: televisions. 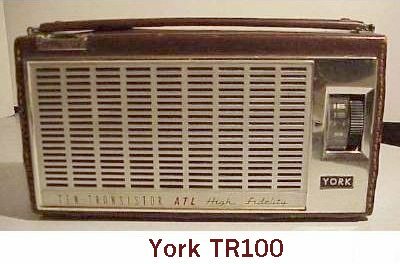 More than half a million FM receivers and some 50 transmitting stations would be rendered obsolete. 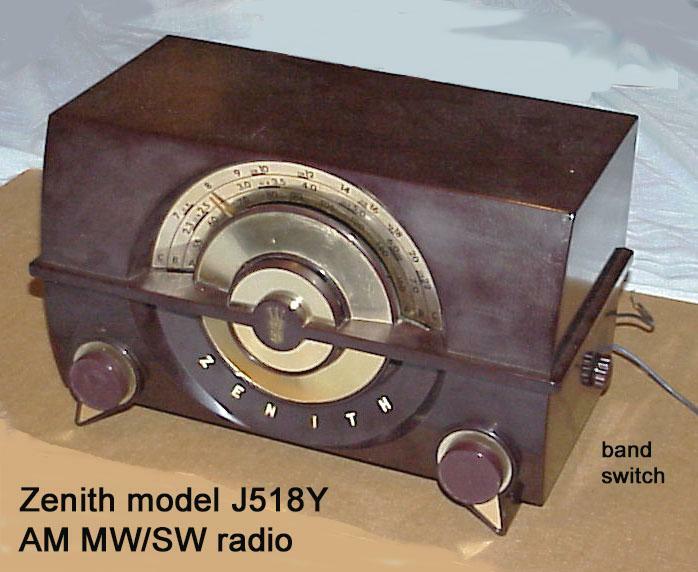 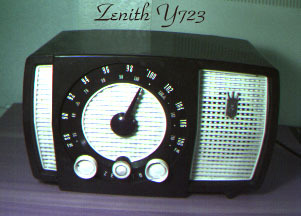 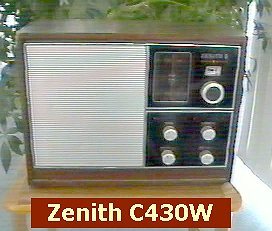 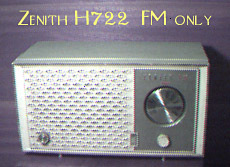 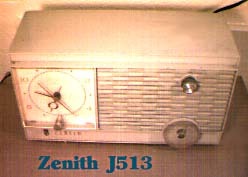 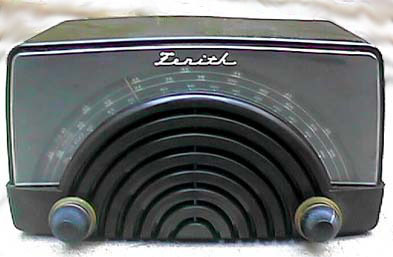 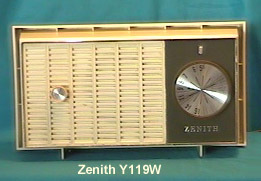 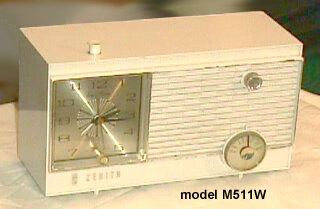 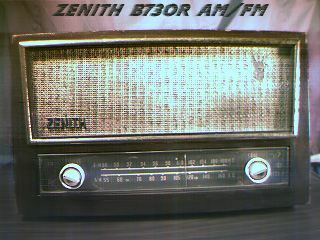 This Zenith 45MHz FM radio model 8H023 (just got one) looks very similar to the 8H034Z above.